There's never been a better time to decide to get fit and healthy as Life Leisure will soon be offering you the perfect facilities to kick start your fitness journey. Perfect for everyone, regardless of age or ability. Life Leisure Barrow Park (formally Park Leisure Centre) has been given £1.25m overhaul after being taken over by an award-winning charitable trust. The centre will help residents kick start the new year with brand new facilities, kids’ activities, and extended opening times. Life Leisure, a not-for-profit social enterprise company, who in August were selected as the new management company by Barrow Borough Council, is to breathe new life into the former Park Leisure Centre on Greengate Street, relaunching as ‘Life Leisure Barrow Park’. Now they are ready to unveil their exciting new facilities, which are being refurbished to serve the entire community and encourage people to get fit, including families, older adults, and those with disabilities. 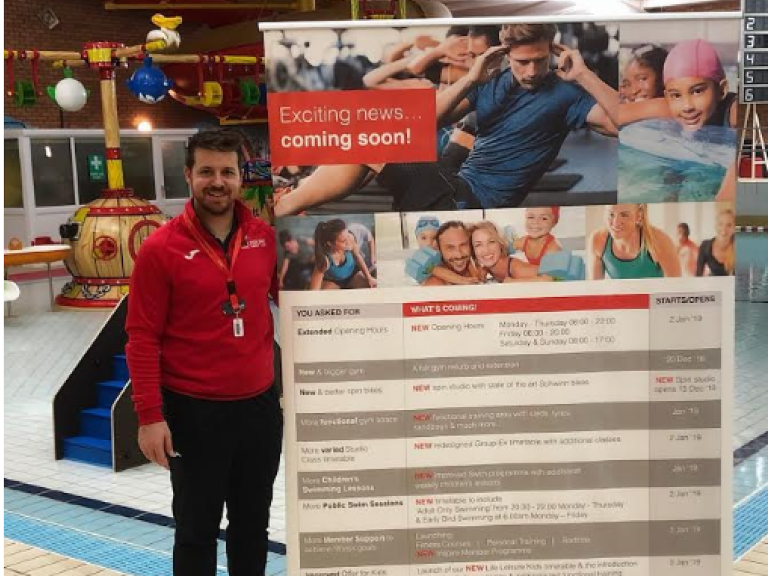 Malcolm McPhail, Life Leisure’s CEO, said: “We are delighted to unveil a fantastic new range of services at Life Leisure Barrow Park which are open to all, no matter what your personal fitness levels are. “Our vision revolves around improving people’s lives by providing high quality facilities and inclusive access for everyone, including disadvantaged individuals and communities. As well as a brand new spin studio and a larger gym, incorporating a new functional training zone, Life Leisure has also introduced more adult and children’s swimming sessions, kids’ gym sessions, family gym sessions, and children’s racquet and ball sessions. There will also be more support for members, including personal training and fitness courses, in addition to Life Leisure’s member Inspire Programme. The scheme provides members with regular contact with a dedicated health and fitness coach, who can help educate and motivate them to meet their fitness goals. The brand-new spin studio, with state-of-the-art Schwinn bikes, will be open to the public from Saturday, December 15, with the larger gym welcoming members from Thursday, December 20. The new sessions and extended opening hours – which will see the gym open from 6am until 10 pm Monday to Thursday - will begin from January 2. Life Leisure is also hoping to expand corporate membership and offer new activities like its popular actilife programme – which combines wearable technology (fitness trackers), an online interactive programme and remote coaching to help people become more active and better manage their weight. The redevelopment of Life Leisure Barrow Park reflects a period of significant development for Life Leisure which, over the last five years, has achieved circa 45% growth in turnover. It’s most recent acquisition – a multi-million-pound sports village in Stockport, Greater Manchester – was the trust’s first venture into land ownership and is thought to reflect a rent vs mortgage differential of circa £14 million. Life Leisure Barrow Park will be open from 6am until 10pm Monday to Thursday, 6am until 8pm on Friday, and 8am until 5pm at the weekend. Adult only swim sessions will run from 8.30pm until 10pm Monday to Thursday, with early bird sessions from 6am on weekdays.